Start Code Composer, click on File>Import>Existing CCS Eclipse Projects. Browse to C:\StellarisWare\driverlib and import the "ccs-cm4f" project. ARM Compiler>Advanced Options>Runtime Model Options: Place each function in separate subsection must be "on". 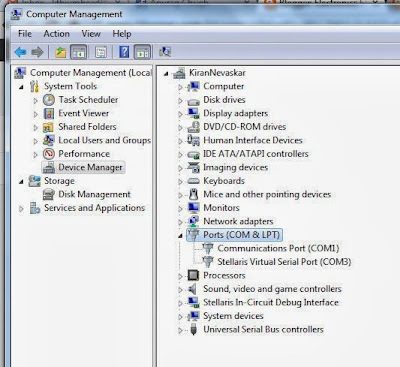 Right click the project "eeprom_test" (in Project Explorer view) and select New>Folder and create a folder named "drivers"
Start a serial terminal software (like Bray's Terminal) and open COM port enumerated as the Stellaris Virtual Serial Port with the settings 115200 8-N-1. You can look up the COM port number using Device Manager as shown below. 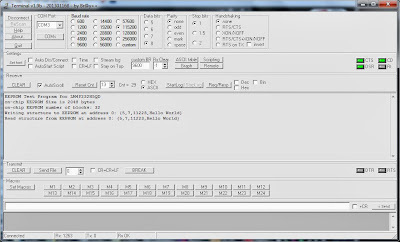 The output of our EEPROM test program will be displayed on the terminal software. 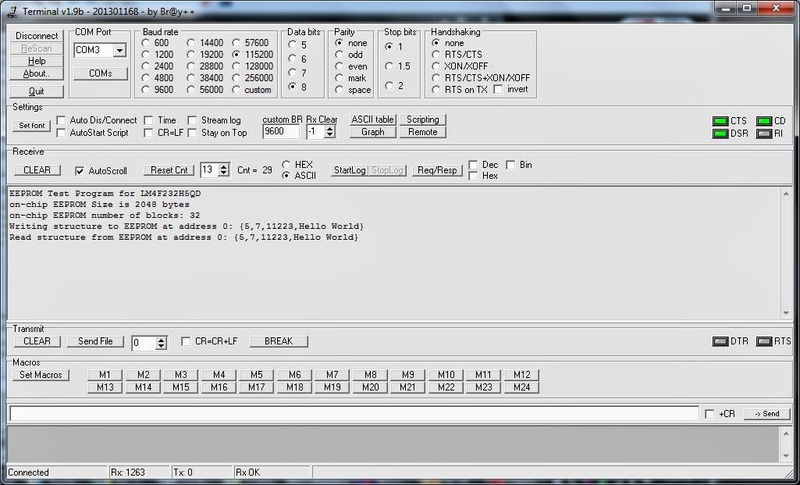 Switch to Code Composer and press F8 to Run the program on LM4F232H5QD. Observe the output on Bray's Terminal.